Do Ubisoft have one more trick up their sleeves at E3? With Ubisoft building up momentum over Far Cry 3 and Assassin's Creed 3 ahead of their fast-arriving release dates could it have another game to unveil? 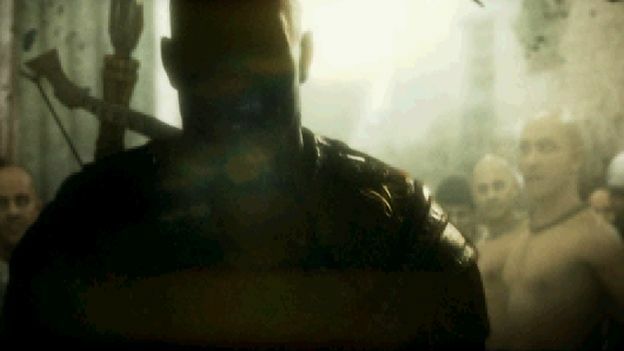 'Judgement is Coming' is the phrase currently fuelling the furious E3 2012 rumour-mill. It comes from a set of three blurry images leaked online which could hint at Ubisoft's promised 'surprise announcement' at next week's expo. Little is known about the pictures other their inability to fit within any of the French developer's existing franchises being previewed at E3 including Assassin's Creed 3, FarCry 3, Rocksmith and – the most unlikely candidate of all – Rayman Legends. The mysterious blurred images have caused the ever over-excitable internet to jump to the conclusion that the screenshots are from a brand-new game, although in the end, only time will tell if judgement is coming or not. However, even if the puzzling new game fails to materialise, E3 is set to be an exciting time for Ubisoft with a new addition to the Splinter Cell franchise entitled 'Black List' also rumoured to be announced. With rumours that the Nintendo Wii U will be featuring heavily this year rumours have circulated over what next-generation titles will be available for the console.